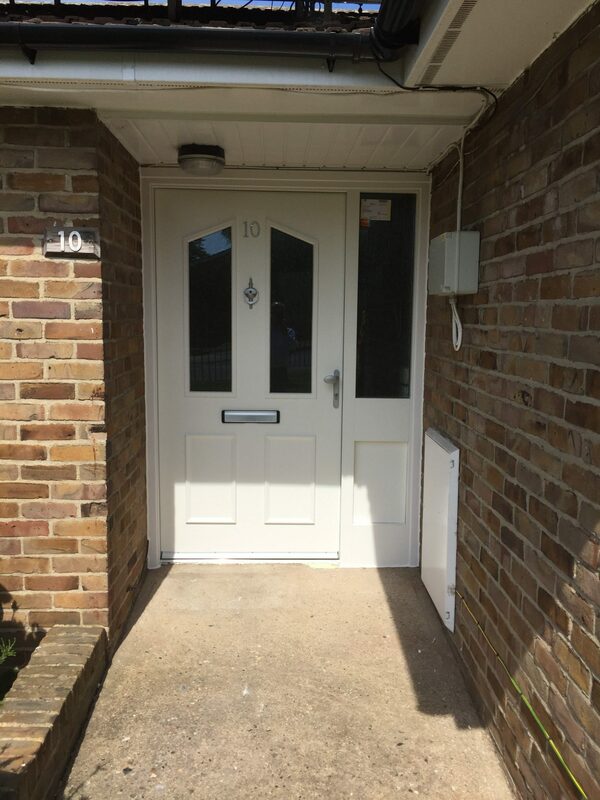 Soundcraft has just completed a local project in Gravesend, for the installation of Secured By Design doors for housing accommodation for the elderly and disabled residents. The project took place to exceed the government’s minimum standard for housing, which means, for the tenants: warmer, better-insulated homes and a reasonable state of repair to modernise the facilities, including increased security. For Soundcraft, the work consisted of the removal of existing entrance doors and side screens and the reinstatement of new Pas 24 Secured by Design doors. Before Soundcraft’s arrival on site, the gas meters fitted in the original side screens had to be removed and re-sited. Soundcraft could only install the doors and frames after asbestos removal was carried out. 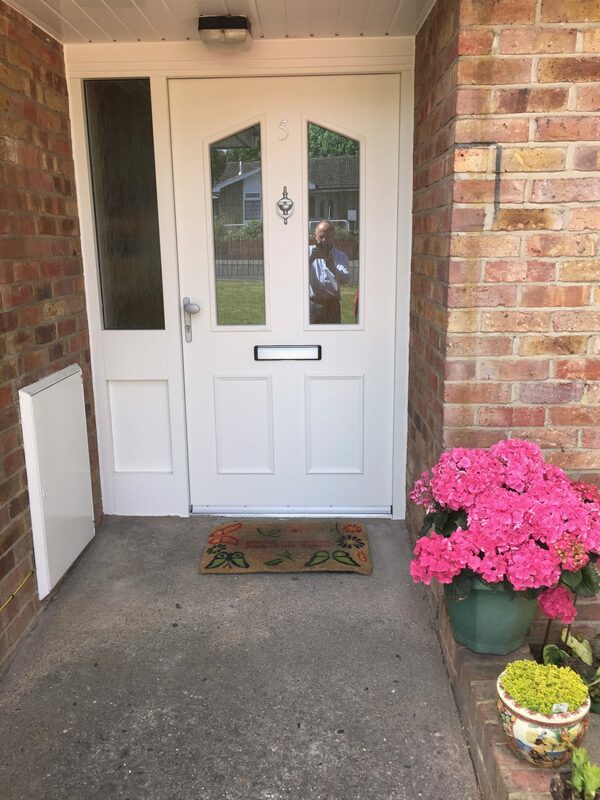 An interesting challenge for Soundcraft was to accommodate two disabled residents with an appropriate, sympathetic system for the operation of their entrance doors. Soundcraft recommended the fitting of the Winkhaus AV2 E electric lock which can be easily opened by remote control or an intercom system. The door and frame specification was agreed in liaison with the Client and the Main Contractor. The choice was for PAS 24 & Secured by Design (SBD) standard doors and frames. The specification consisted of external quality FSC solid timber cored doors, with hardwood lipping on all edges. Each door had 2no splayed vision panels comprised of 6.8mm laminate / 4mm toughened double glazed units. The FSC side screens were semi glazed to the same specification. All doors and frames were factory pre-finished to Ral 9010. Each door was factory fitted with a Winkhaus AV2 Multi Point lock, with levers, cylinder guard, door viewer, letter plate and cowl, plus a stainless steel kick plate externally. The supply and fit of doorsets, fully factory fitted with all ironmongery and pre-painted, ensured that the disruption to the residents was kept to a minimum. By specifying Secured By Design doorsets, based on testing to PAS24 (and compliant with Part Q of the Building Regulations), the residents not only were provided with improved security but were also provided with more user-friendly ironmongery. To find out more about the specification of Secured By Design door, give Soundcraft’s technical team a call on 0800 988 1875, or read more on our SBD guide.